My Plumber Man regularly install smart heating systems. We can design a tailored heating and hot water system using the latest technology for your home. At My Plumber Man, we have the experience and expertise to design an efficient heating and hot water system for your home that takes advantage of the latest in heating technology. With technology coming on in leaps and bounds in the heating industry, we can now install high-efficiency boilers that are far more efficient than their predecessors. These new, highly efficient boilers use smart technology to make them more efficient. Property owners can also easily control their heating and hot water via their smartphone while away on business or a holiday. My Plumber Man can also install under floor heating for your home, allowing you to heat your basement or ground floor area proficiently to ensure your home is comfortable and warm. As well as this, we can install solar panels to take advantage of tremendous cost savings for solar power in your home. If you’re looking to undertake a complete refurbishment or a boiler upgrade, speak with the team from My Plumber Man to arrange an obligation free quote with one of our experienced heating engineers and to discuss smart heating options for your home. 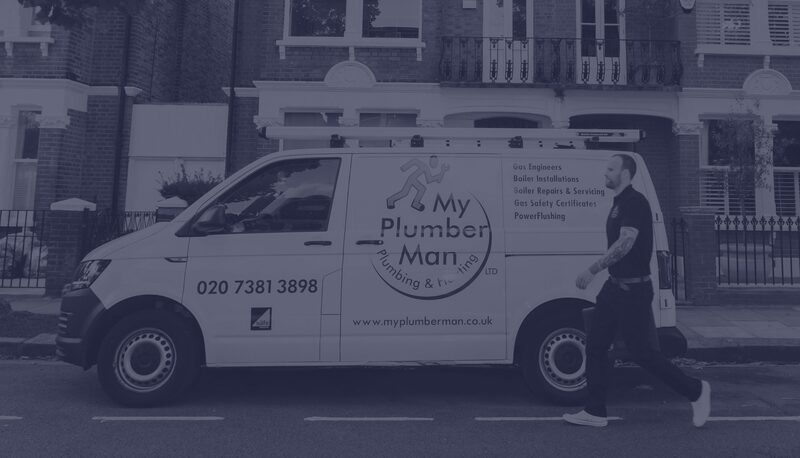 Contact us today for your obligation-free quote and to discuss how we can complete your plumbing or heating installation in South West London. “Having been let down by any number of plumbers before, for every reason you can imagine, it was such a delight to find My Plumber Man. “We’ve used them for a number of years now and they’ve always got the job done, first time – every time and we’ve never looked back.